Brooke Crothers broke a very important story today - he published the name Silvermont. 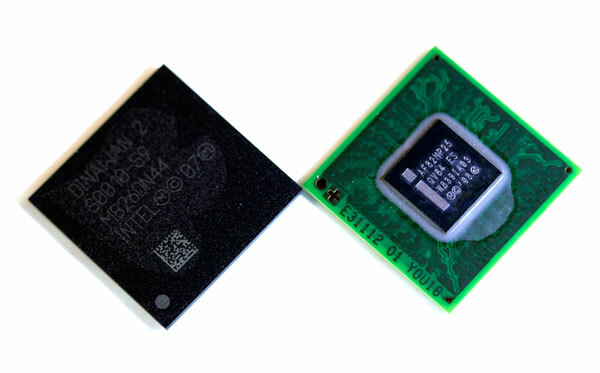 Atom's first incarnation came to us in 2008 as a Pentium-like dual-issue in-order microprocessor. The CPU core was named Bonnell, after the tallest point in Austin at around 750 feet. Small mountain, small core. Get it? Bonnell and the original Atom were developed on a 5-year cadence, similar to how Intel ran things prior to the Core 2 revolution (the P6 to Netburst/Pentium 4 move took 5 years). With the original chip out in 2008, five more years would put the next major architecture shift at 2013, which happens to be exactly when the Cnet report mentions Silvermont will be introduced. When I first met with the Atom design team they mentioned that given the power budget and manufacturing process, the Bonnell design would be in-order. You get a huge performance boost from going to an out-of-order architecture, but with it comes a pretty significant die area and power penalty. I argued that eventually Intel would have to consider taking Atom out of order, but the architects responded that Atom was married to its in-order design for 5 years. Since 2008, Atom hasn't had any core architecture changes. 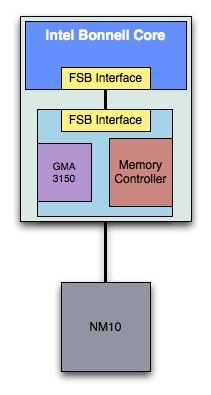 Sure Intel integrated the GPU and memory controller, however the CPU still communicates with both of them over an aging FSB. The CPU itself remains mostly unchanged from what we first saw in 2008. Even Intel's 32nm Atom due out by the end of this year doesn't change its architecture, this is the same dual-issue in-order core that we've been covering since day 1. The 32nm version just runs a bit quicker and is paired with a beefier GPU. Silvermont however changes everything. It is the first new redesign of the Atom architecture and it marks the beginning of Atom being on a tick-tock cadence. Say goodbye to 5 year updates, say hello to a new architecture every 2 years. Given what Intel said about Atom being in-order for 5 years, I think it's safe to say that Silvermont is an out-of-order microprocessor architecture. The other big news is that Silvermont will be built using Intel's 22nm transistors. What may not have been possible at 45nm gets a lot easier at 22nm. Assuming perfect scaling, a chip built on Intel's 22nm process would be a quarter the size of the same chip built at 45nm. With Apple paving the way for 120mm2+ SoCs, Silvermont can be much more complex than any Atom we've seen thus far. Intel isn't talking core counts at this point, but for 2013 I'd expect both monolithic dual and quad-core variants. If we use history as any indicator, Intel will likely drop the FSB in favor of a point-to-point bus interface between Silvermont and its cohorts. The big question is about GPU technology. Intel has historically used GPUs licensed from Imagination Technologies in its smartphone/tablet/MID line, while opting for its own in-house GPU solutions for nettops/netbook versions of Atom. At 32nm the rumor is that may change to an all Imagination lineup, but at 22nm I do wonder if Intel will keep licensing 3rd party IP or switch to its own. Intel is expected to announce more details about its Atom roadmap at an analyst event next week. While the expectation is that we'll see Atom based Android smartphones this year, I'm personally quite interested in Silvermont. 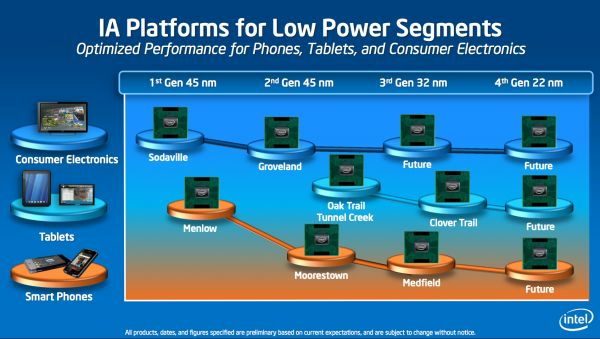 Single and dual-core 32nm Atom designs should be able to hold their own in a world dominated by dual-core ARM Cortex A9s, but an out-of-order Atom on an aggressive roadmap is something to be excited about. By 2013 we should be seeing smartphones based on Tegra 3 and 4 (codename Wayne and Logan) and ARM's Cortex A15. GPU performance by then should be higher than both the PS3 and Xbox 360 (also implying that Silvermont needs Sandy Bridge level graphics performance to be competitive, which is insane to think about). ..but keep it x86 pretty please. I'm a fan of the current Atoms when paired with ION-graphics. I use them for my HTPC, my netbook, and I even use one as NAS that let's me run an MMO-client (EvE Online) for dual-accounting. That seems possible. The closest comparison I could find was a 2.2ghz C2D, and it led the D510 atom by a factor of 2-3 depending on the benchmark. 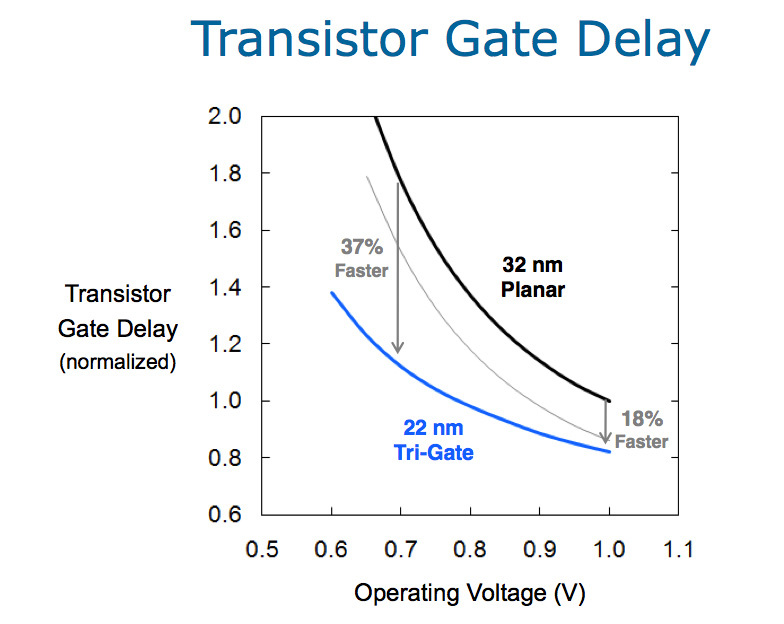 Dropping from 45 to 22nm will get 4x the die space to play with, so going quad core even on the same architecture will get you close even before process enhancements. Well, because E350 and all future APUs from AMD are driverless on Server 2008 R1/R2, they also have problems on Linux systems (like Ubuntu). AMD, in their moronic wisdom, decided to actively block their drivers to install on "Server" OSes. And not only APUs, also any Radeon GPU. On the other hand Intel and nVidia, even they don't hide the fact they do not support said operating systems, will still allow you to install their Vista/7 drivers. Not supporting an operating system is one thing, but actively blocking the driver installation is just stupid. You and who else cares using these platforms with a server OS? Just me and the 1000s of students that got that OS from MSDN for free. A low power system seems like a good idea to me to use with a 24/7 box. Here is another non issue: Flash Player 10.x lacks support for the UVD3 AMD implementation. All reviews on the interweb were done using an AMD supplied Flash Player 10.2 (=hacked), that normal people like us don't have access to. Doesn't sound like a big deal, but what it means is that you can't playback any 720p/1080p flash video without huge stuttering. I've actually found old thinkpads (T60-T61) (C2d or Core Duo powered) to be great for playing around with OSes like that. Low power with builtin battery, keyboard, and monitor all in one. ...and the C2D has 64bit + virtualization. Yeah but it will come out to what arm has to offer at the time.